Soft polyspun moisture wicking carries away moisture from your skin leaving you dry, cool, and stylish. 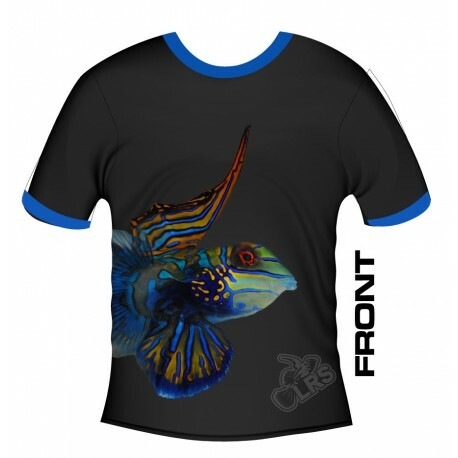 Shirts feature our LRS Mandarin mascot in a dye sublimated front to back print. These are NOT a compression type shirt and sizing is the same as a standard tee shirt. Hiking, Running, Fitness, Intense Feedings with LRS Reef Frenzy.